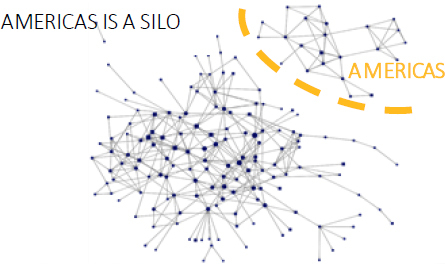 The Marketing community, with +300 people in +45 countries, of a global manufacturing company, struggled to share knowledge and best practices across. To design the optimal setup the company needed to get hard data on the issue. what changes were necessary from the employees’ point of view. 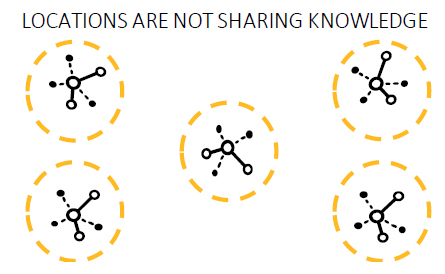 Countries – even within regions – were not collaborating. Promote sharing of knowledge and best practices across locations through the following short- and long-term actions. Second, establish connection between regions. 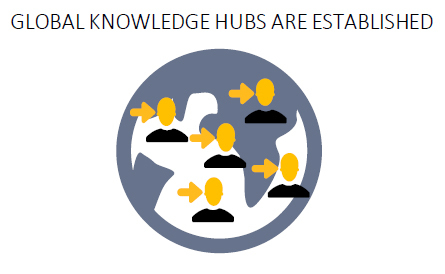 In the long term, leverage the position of the identified experts in the setup of global knowledge hubs that promote and sustain collaboration and knowledge sharing.